• How does design(er) deal with this? What methods are used? • What does design(er) contribute? What roles are played? • What knowledge is generated? What are the substantial outcomes? Student participation is credited by Kunst- und Designdiskurs. Design’s great weakness is in its own hubris; can we test Design’s legitimacy in sceptical territory? Recent co-design initiatives demonstrate successful healthcare innovation and improvement without the need for Designers, potentially wrong-footing Design. Through case studies, Macdonald explores Design’s research value in the healthcare domain, where the RCT is regarded as the gold standard for scientific evidence. 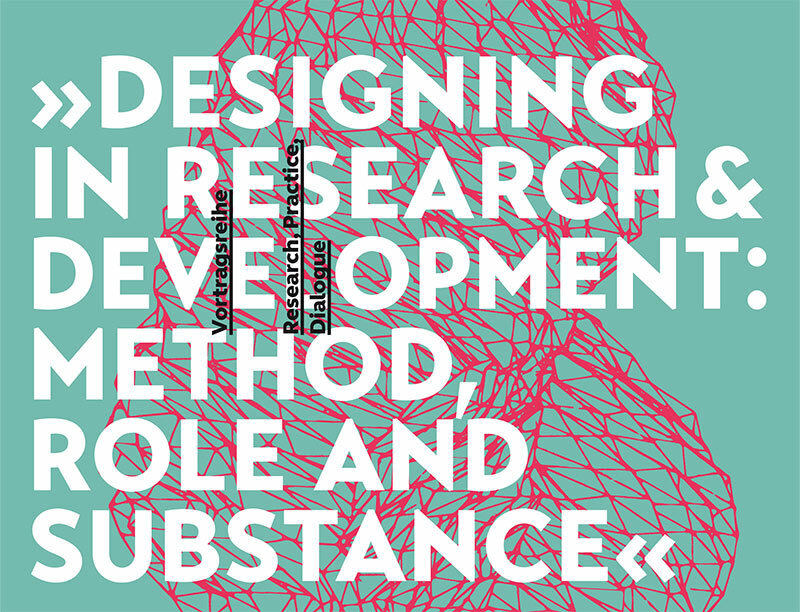 Design’s agency is also discussed in eliciting different kinds of evidence from stakeholders through ‘building into being’ by iterative prototyping, proving stakeholders with tangible new means to think with and experience how different and better things could be. Design’s shortcomings are also addressed. Professor Alastair Macdonald is Senior Researcher, School of Design at The Glasgow School of Art. Trained as a designer, he headed the Product Design Engineering programme at GSA from 1996 to 2006,, before pursing full-time design-led research within multidisciplinary healthcare teams. He publishes, reviews and lectures internationally, and supervises and examines PhDs. In this talk, I will present the work that I have done as a PhD student and design researcher within a 3 year, EU funded, project called PERT (Patient Experience of Radiation Therapy), in collaboration with the Radiotherapy Department at Norrlands University Hospital in Umeå, Sweden. I will present my research, including two design experiments, Taklandskap and ActivPPS, which were executed within this project, and discuss how my research context shaped the methods and theories I used as well as the type of design construction I engaged with. I will finish with a discussion of the concept of context-driven design and its core principles. thropology and biology from MIT, cancer biology from Stanford University, and design from SAIC. Her work experience ranges from anti-cancer drug development to interaction design consulting, and she is currently writing her dissertation on cancer patients’ experiences during treatment. Katharina is a postdoctoral researcher at Universität der Künste, Berlin, and Borås School of Textiles in Sweden. She conducts research in human-computer interaction, electronic textiles, and design methodology. She is co-founder of Design Promoviert—a student-organized doctoral colloquium—and manager of the Design Research Network—an online forum for young researchers. What digital world do we want? Locked in screen-based experiences for eternity? Or an interwoven digital and physical existence for and by people? If we want the latter, we need to know how to design and live within it and have methods that place people at the heart of creation. So let¹s come together and ask ourselves how to co-design our digital future. In this talk, I will lay out the challenge of what a physical digital world can look like by investigating a centuries-old physical communication medium that has caused revolution and evolution, and quite literally re-written the future of humankind. Professor Jon Rogers holds a personal chair in creative technology at the University of Dundee. He balances playful technologies with citizenship to find new ways to connect people with each other and with their data. He is passionate about the potential of an open physical web of things and his work includes collaborations with Mozilla, NASA, BBC R&D and the Met Office.